Since there appears to be at least some interest in the Soekris DAM thread in my ArDAM Lite DAM controller I've decided to go ahead and start a GB thread. 1) To send and receive commands from the DAM through its serial port. 2) To provide galvanic isolation between the Arduino and the DAM. 3) To provide remote control functionality of volume, source and filter selection. 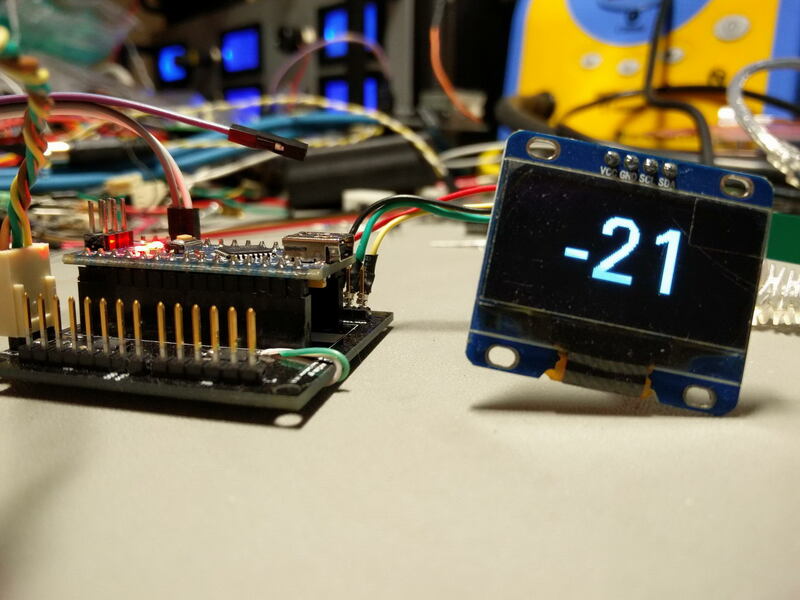 4) To display the relevant info on a small OLED display. Since I will be re-designing the PCB anyway I am open to feature requests, even though I should warn you that the Arduino Nano is very limited in resources and the big fonts used to display the numbers and text do not leave much room at all. I'm considering running the GB until the end of April, at which time I'll place an order for the PCBs. Their cost will be pretty low, very close to actual cost. I do reserve the right to cancel the GB if interest proves to be way too low (less than 10 boards). Edit (30/4/017): The GB has closed, I've placed the order for the PCBs. Last edited by Dimdim; 29th May 2017 at 07:26 AM. Would be great to extend the GB also at the OLED display. Random feature suggestion: is it possible to have two serial port connections? For the balanced dual-mono dam1021 case, I have yet to find a convenient way to independently control to two boards via serial. I'm using Normunds' board currently, which allows you to chain the TX serial commands. So as long as you always want to send the exact same thing to both boards, it works fine. 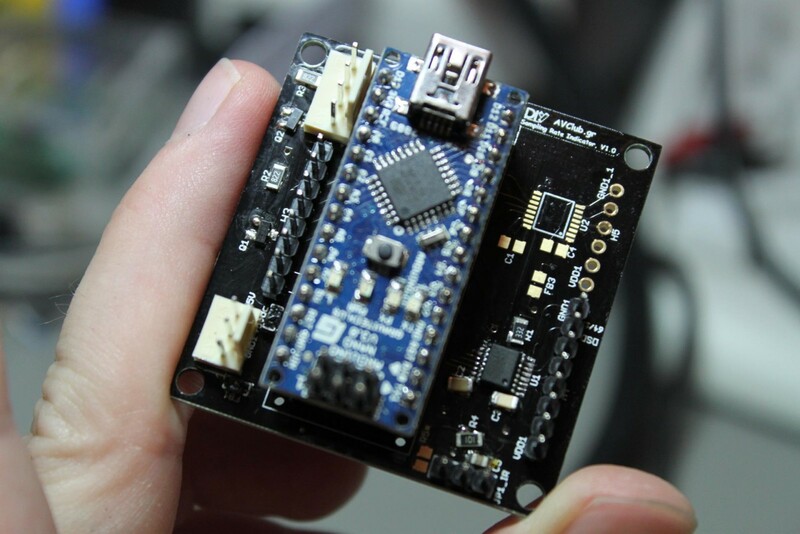 But for diagnostics, firmware upgrades, etc, it would be preferable to have independent control of both boards. Best of course is allowing the user to select between chained and independent control. When I started looking into doing this I tried using the software serial library but at 115Kbps it proved to be very unreliable. I suspect that at lower baud rates it might be usable. But one of the DAMs will still need to be set up to run its serial port at a low speed. It could be arranged that this be done by the controller as part of the set-up phase, but I don't know if we'll have the memory for something like that. I'll tell you what I'll do. I'll make provisions for two isolated serial ports, the hardware based one and a software based one. Then it will be a matter of writing the proper software (a.k.a. "YMMV"). I am interested also . It just occured to me that cases such as yours can be taken care of quite elegantly by my Universal Shield Isolator PCB and ArDAM1021 (the full version, not the Lite). The U.S.I. already supports 2 isolated hardware serial ports. My code does not yet support a dual mono configuration (since I don't own two DAMs) but it should be pretty easy to accomodate. I am interested, and I hope that the chip is soldered. My earlier experience was not so good with the very small size of the U1 chip. Last edited by hannesie; 13th April 2017 at 11:23 AM.